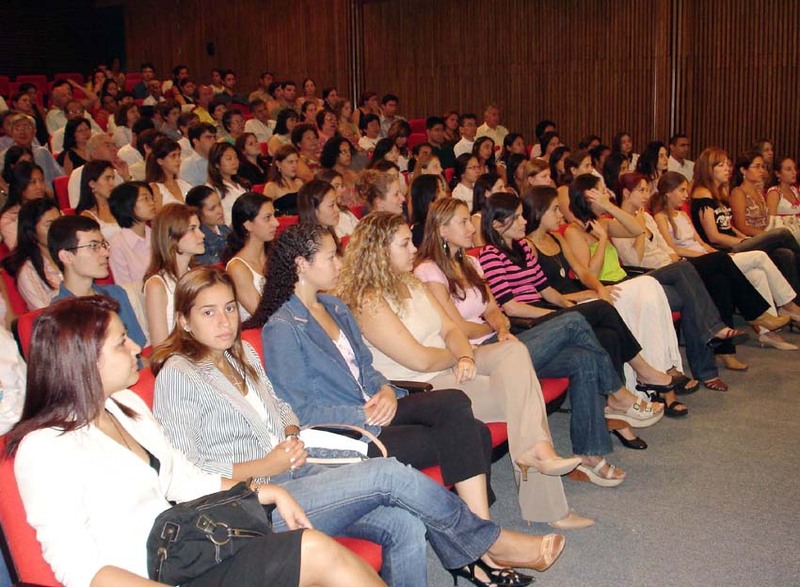 Created in 1988, the Provost for Culture and Extension is committed to regulate the culture and university extension activities, the specialization, improvement, upgrading courses, and cultural diffusion of the University of São Paulo (USP), being responsible for the Theater, Cinema (Cinusp), Symphonic Orchestra (Osusp), Chamber Orchestra (Ocam), the Choir (Coralusp), Mindlin Library, Cultural Preservation Center (CPC), University Center Maria Antonia (CEUMA), Science Station, Museum of Sciences, Museum of Contemporary Art (MAC), Museum of Archaeology and Ethnology (MAE), Paulista Museum, Museum of Zoology, Cientec Park, and the Ruínas Engenho São Jorge dos Erasmos. View of the gardens of the School. In the research area, the Provost for Culture and Extension offers the Learning with Culture and Extension Program, which in 2012 and 2013 granted six scholarships for projects (five for Nutrition, one for Mother and Child Health) submitted by the professors of the FSP. In 2012, thirty-nine (39) different events with full disclosure were carried out, and 3784 certificates were issued. Under the responsibility of its Commission for Culture and University Extension, the School of Public Health offers a special programming for university extension courses in the shape of Summer Program.